To say that I’ve attended my fair amount of conventions would be an understatement. I’ve been a regular con attendee for over 15 years, attending everything from anime to comic books, video games, and journalism conventions—it’s just something I do and enjoy. 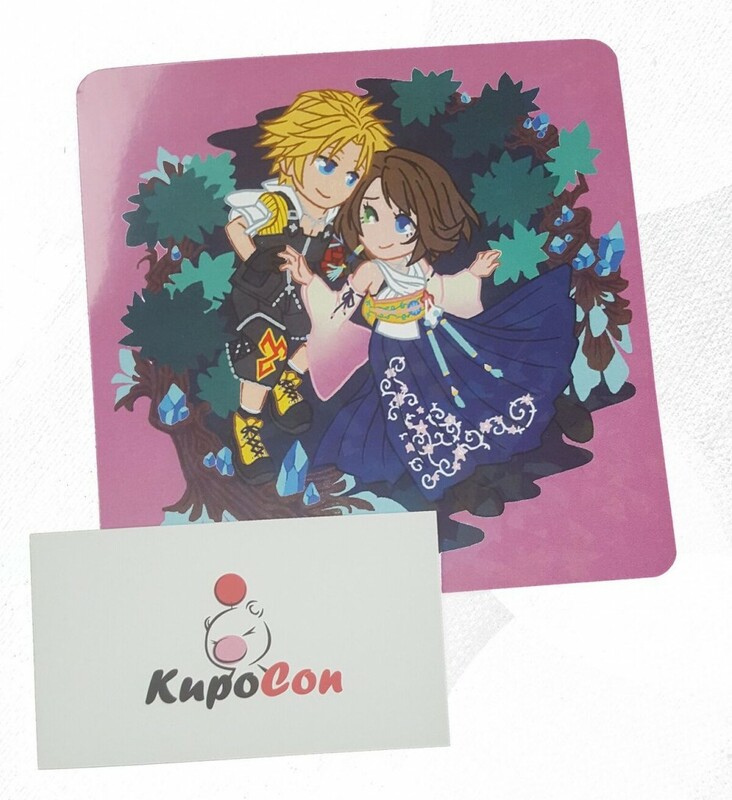 So, I was supremely excited to find out that Vancouver would be hosting the travelling KupoCon, a convention dedicated to the Final Fantasy franchise. KupoCon itself began in Newark, New Jersey in 2016 out of a desire to consolidate smaller fan gatherings into something more official. It has since travelled the globe, uniting lovers of the franchise across North America and Europe. April 21 marked the first time that the event was held in Vancouver. My first impression of the event was excitement, but as the date drew closer I began to question the event line-up and grew concerned that KupoCon: Pomtropolis—the Vancouver variant of the convention—may be little more than a money grab. Only two guests had been announced, and with yoga as one of only listed activities, I became a little annoyed. However, I persevered, worked tirelessly on my costume and attended with entourage in toe. Admittedly, the event was small. It took up only three rooms and one hallway at the Pinnacle Hotel. Quickly I began to realize that the event wasn’t a money grab, but rather a toe in the water. KupoCon seemed ill-equipped for the turn out and surprised by the voracity of Vancouver fans. That being said, there were many things that I hadn’t seen a convention do that I was extremely pleased to see at the con. KupoCon turned attendance into a game, creating events like scavenger hunts and puzzles that encouraged attendees to interact and share knowledge with one another in order to succeed. These events ranged from putting up wanted posters of certain characters—to get people to find and meet cosplayers of that character—to making word games using the fictional Al Bhed language (a Final Fantasy X staple). Participating in these games earned you “gil” you could then exchange for KupoCon merch. They also encourage cosplayers by offering a ticket discount to anyone in costume. I enjoyed these games a lot, and I am proud to say I was pretty successful. Unfortunately, the prizes, as well as the attendee grab bags, were far too limited, and the staff ran out of them long before the predicted end of the con. My biggest criticism of KupoCon: Pomtropolis is that it operated on too small of a scale. The choice of venue limited the availability of activities and it made everyone feel crammed, and the fact that they were unable to predict the Vancouver fan response when Vancouver is somewhat known for its “nerd” community is problematic. To put it simply, KupoCon was too scared to be entirely successful, though this fear is not without merit. Vancouver has its share of dead or dying cons due to curators that overestimate their reach—Cos&Effect comes to mind—but, KupoCon played it a little too safe in this regard. Iif KupoCon does return to Vancouver, I hope that they will learn from this and plan their future endeavors accordingly. Go big, or go home—except don’t, please come back.